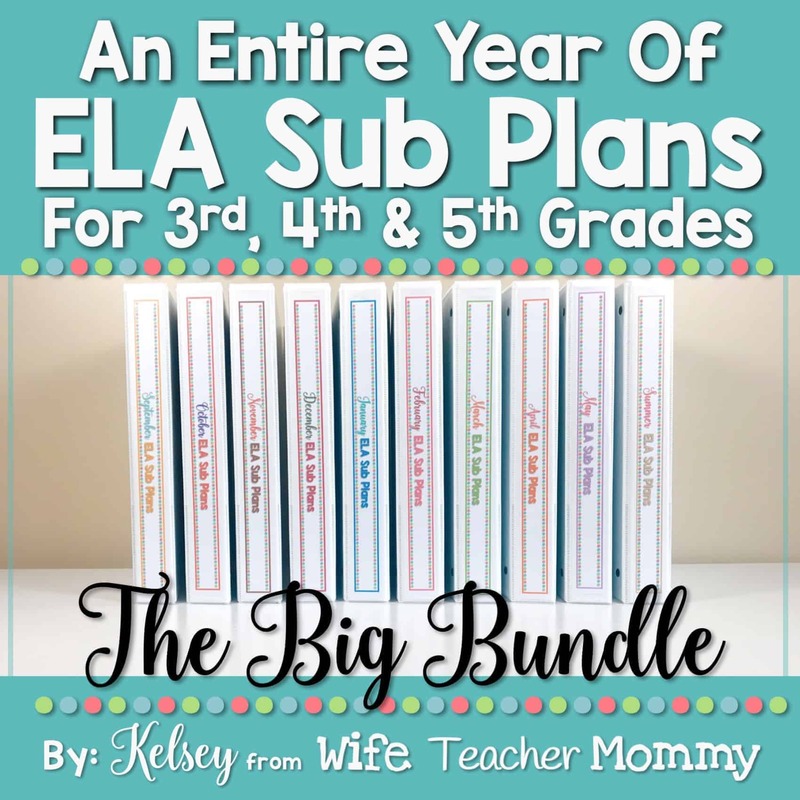 This BIG bundle of ELA sub plans for 3rd, 4th, and 5th grade will last you the entire year! 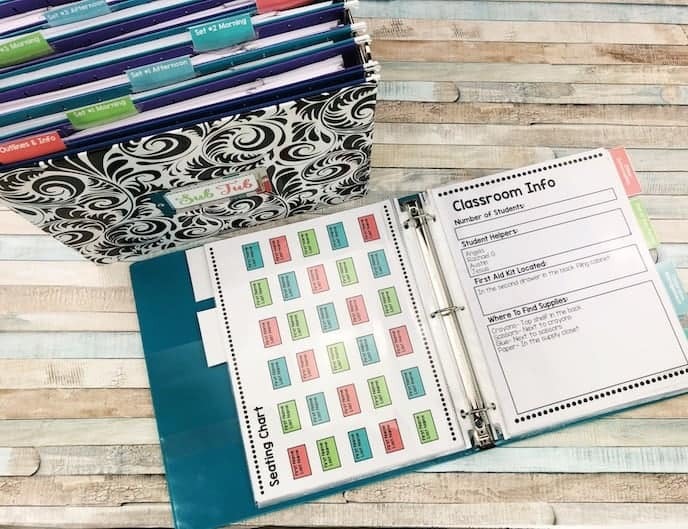 Your students will LOVE these activities, and you will rest easy knowing that your students are completing meaningful ELA activities with the substitute while you are away. They are perfect for emergency sub plans! Each set of upper elementary sub plans can be used for an entire day’s worth of activities, or for several days of your ELA block. The sets include seasonal and holiday themes for each month- which makes them both educational AND fun for your students. This complete bundle for the entire year is ready to go! 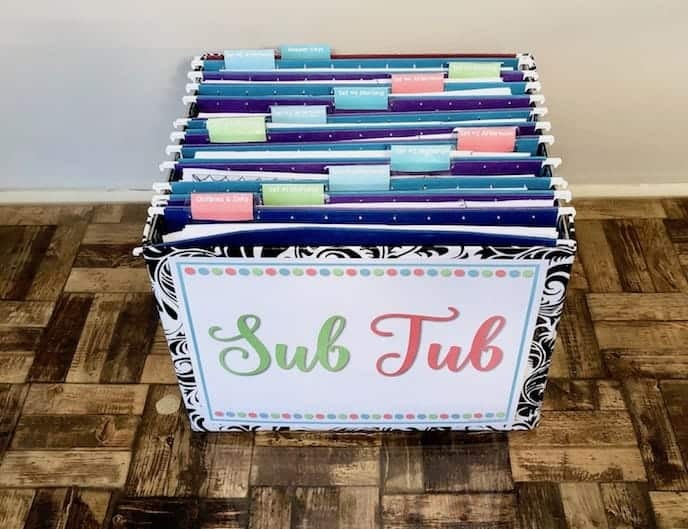 You can print and put together the entire year into your sub tub. Best of all? You can save 20% when you purchase the entire year together in the bundle! This is a digital product, which means you won’t need to wait for anything to ship to you! You can start putting together your sub plans right away. The following sets below are included in the bundle. You can look at a preview of each individual set. My Month-To-Month sub plans also integrate perfectly with my which are not seasonal and can be used at any time during the year! The Ready To Go Sub Plans also include all subject areas. Please note that these sub plans are NOT editable. They are print and go! TAKE A PEEK AT WHAT IS INCLUDED IN EACH SET OF SUB PLANS! -The Binder Cover & Spines will make your binder look spiffy, and you’ll look super organized! -The Monthly Themed Thank You Cards will be greatly appreciated by your sub! -The Monthly Themed “How Did Your Day Go?” Form will help your sub remember to write you detailed notes, so you’ll know exactly what went down while you were away. -Themed Substitute Punch Cards are an excellent behavior incentive that are special for just when you have a sub. -The Copies for Students List makes things easier for you since you know exactly what you need to copy. -The ELA Lesson Checklist makes your sub planning a breeze! All that’s left to do is check the boxes you’d like your sub to do. Check, check, check! -Two ELA Lesson Plans , one for fixing sentences and the other for parts of speech fill-in-the-blanks, are laid out for your sub and worksheets are included. -Two Engaging, Monthly Themed Writing Lesson Plans are included. Each lesson includes the needed brainstorming sheets and/or graphic organizers and writing pages. -Two Differentiated Reading Prompts with comprehension are included to meet the needs of every learner! You can choose one that best fits your class or use both for differentiation. -A Reading Lesson Plan to be used with ANY silent reading book. This can be reused as many times as needed. Graphic organizer included. -The monthly ELA Review Board Game is a total hit with the students! Students will answer questions about parts of speech and/or figurative language. A colored version is included in addition to the black and white, in case you want to use it for more than just a sub day! -A Monthly Themed Interactive Art Activity is fun and engaging for the students! These usually also incorporate just a bit of writing, but the students will hardly notice! –Answer Keys & Worksheet Guides will help the sub to assist the students, even if they don’t know the content very well. They can also be used to grade the work, if desired. Buy these sub plans NOW and be prepared ahead of time! HAVE A QUESTION OR CONCERN ABOUT THIS PRODUCT? Please email me before leaving feedback and I’ll try my best to help you out! You can email me at kelsey@wifeteachermommy.com. By purchasing this resource, you will have access to it on your account forever! We do not limit how many times you can download and access your resource. Computer crashed? Not a problem! Just log into your account and download it again. You will also have access to ALL future updates and additions to this resource! Whenever the resource is updated, you will be able to download it again in your account. You will also receive updates via email as long as you stay subscribed to our list.